Almost all cars with diesel engines that are produced in Europe or Japan are equipped with turbochargers. More and more frequently petrol engines are equipped with them too in order to work more efficiently. We fix turbochargers with the use of most advanced processes and best quality equipment. We rely entirely on highest quality standards in order to come up to even most demaning customers’ expectations. Precise control over the whole regeneration process assures durability and infallibility of your turbocharger even in most extreme conditions. We conduct the process of regeneration accordingly to manufacturer’s technology. 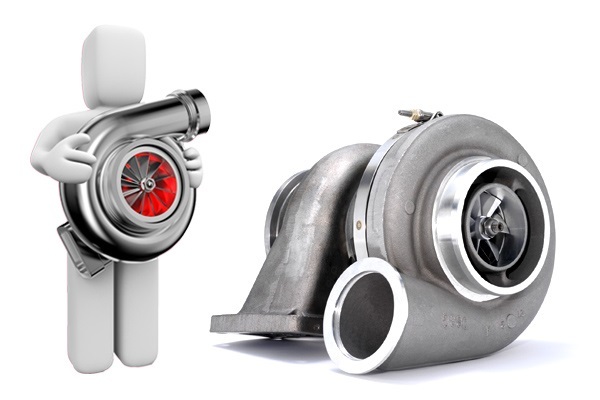 As a result, a renewed turbocharger has the same parameters as a new one and we give you a warranty of quality. The first stage in the process of turbocharger reconditioning is checking its overall technical state. Then, single elements of turbocharger are checked as far as mechanical damages are concerned. During this stage all elements of turbocharger are cleaned. Damaged elements as well as seals and bearings are replaced with new ones. Secondly, all damaged elements are repaired. The most important stage at this point is appropriate balancing of rotation system of the turbocharger. Finally, all elements of the turbocharger are joined together and the reconditioned turbocharger is ready to be sent back to you. It is very easy to let us recondition your turbocharger. Our courier takes the broken turbocharger from you, we fix it and send back to you. Additionally, you don’t need to worry about shipping costs in Poland as we pay for it. We also render our services abroad in all countries that belong to the European Union. Contact us and let take care of your turbocharger.